TRENDSETTING GEMS POP WITH COLOR! 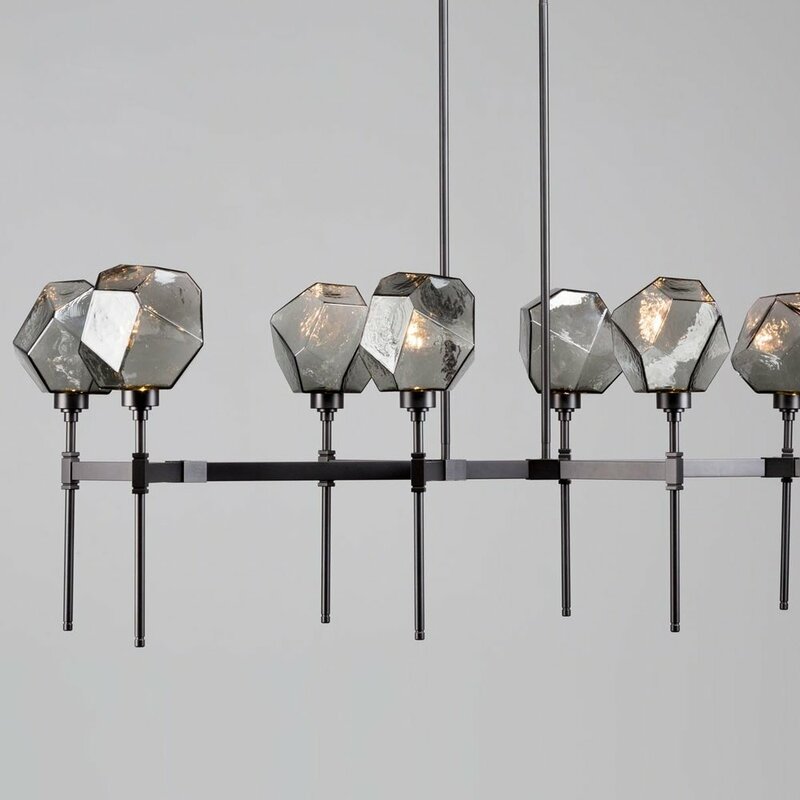 The top-selling Gem collection from Hammerton Studio captures the design industry's fascination with faceted shapes in a captivating series of versatile designs and unique color combinations. 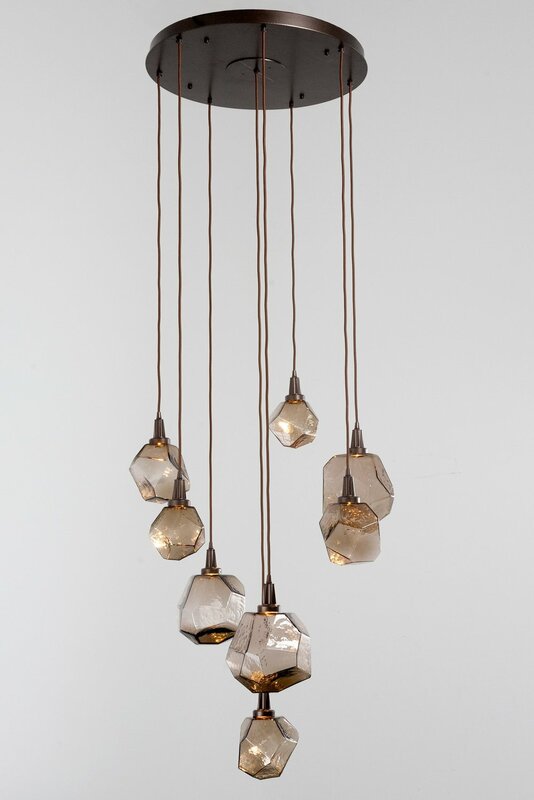 A thoughtfully chosen Gem design adds an artistic focal point to any interior color palette. 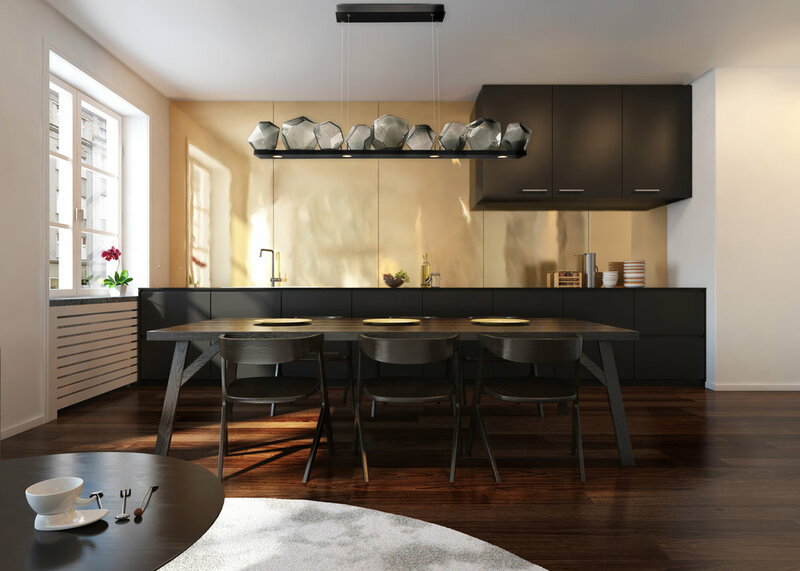 With four glass color options and eight finishes to choose from, the perfect color combination can be made -- whether for a transitional, contemporary or modern space.. There's nothing 'typical' with these designs. With 93 CRI/2,700 CCT integrated LED lighting, the glass shades actually become the bulb. Plus they're compatible with all dimmer types and dim smoothly down to 1%. Looking for something even more different? Gain inspiration from some of our recent custom work below. 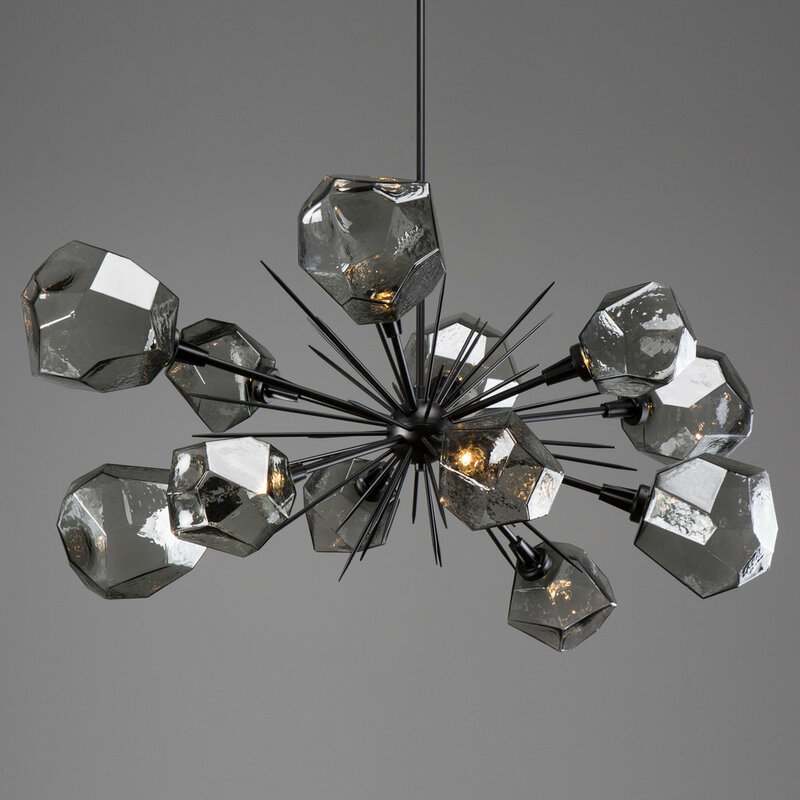 Inspired by this year's Pantone Color of the Year, an Ultra Violet Gem Ring Chandelier adds drama and a punch of color to a modern, industrial or minimalist space. Custom Gem ring multi-port chandeliers glisten from the ceiling of the Park Meadows Country Club in Park City, Utah. 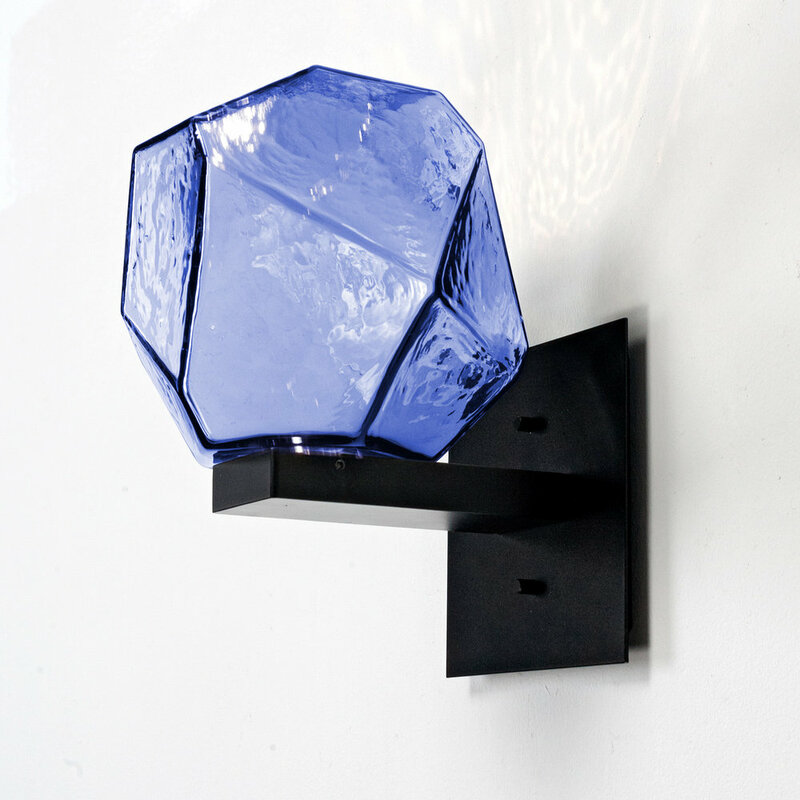 We can also create gems in other glass colors for custom projects, like this blue sconce. 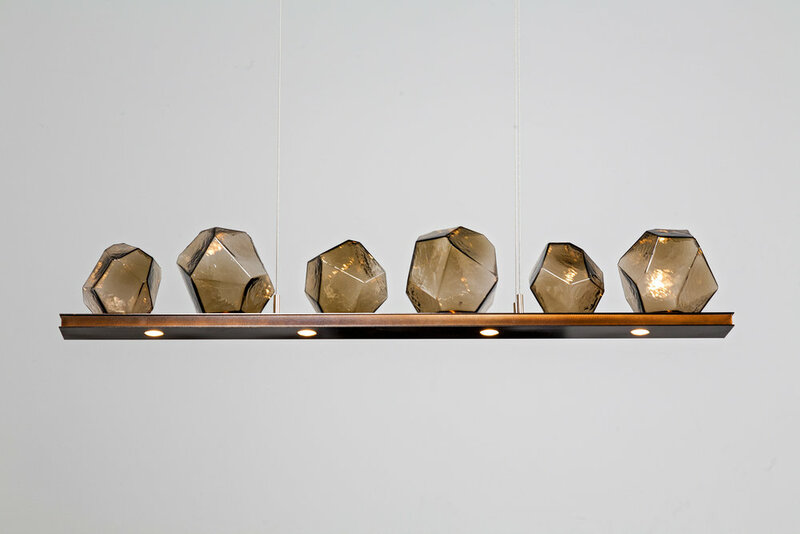 Using a steel frame to echo the Gem facets, this geometric pendant feels light yet industrial.